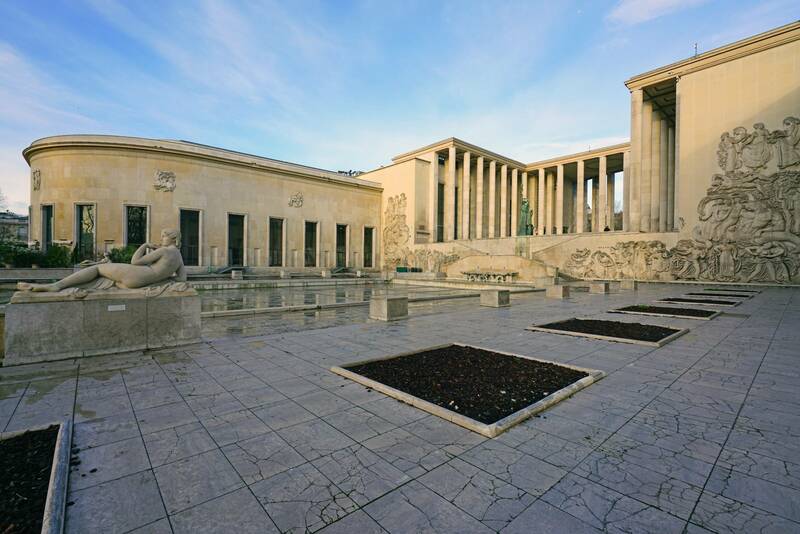 Musée d'Art Moderne de la Ville de Paris, City of Paris' Museum of Modern Art) or MAMVP, is a major municipal museum dedicated to modern and contemporary art of the 20th and 21st centuries. It is located at 11, Avenue du Président Wilson in the 16th arrondissement of Paris. Located in the eastern wing of the Palais de Tokyo and constructed for the International Exhibition of Arts and Technology of 1937, the museum was inaugurated in 1961. The museum collections include more than 10,000 works from art movements of the 20th century. Exhibitions highlight the European and international art scenes of the 20th century, as well as displaying monographic and thematic exhibitions of trends in today's art. Temporary exhibitions run every six weeks. Pablo Picasso, Georges Braque, Henri Matisse, Emile Othon Friesz, Wilhelm Lehmbruck, Maurice de Vlaminck, Georges Rouault, Raoul Dufy, Marie Laurencin, Pierre Bonnard, Édouard Vuillard, Albert Marquet, Henri Laurens, Jacques Lipchitz, Jean Metzinger, Albert Gleizes, André Lhote, Juan Gris, Alexander Archipenko, Joseph Csaky, Ossip Zadkine, Marcel Duchamp, Francis Picabia, František Kupka, Robert and Sonia Delaunay, Fernand Léger, Jean Hélion, Auguste Herbin, Joaquín Torres García, Natalia Gontcharova, Luigi Russolo, Amedeo Modigliani, Giorgio de Chirico, Alberto Magnelli, Gino Severini, Kees van Dongen, Bart van der Leck, Jean Arp, Sophie Taeuber-Arp, Maurice Utrillo, Suzanne Valadon, André Derain, Moïse Kisling, Marcel Gromaire, Marc Chagall, Chaïm Soutine, Leonard Foujita, Alexander Calder, Alberto Giacometti, Jean Crotti, Man Ray, Max Ernst, André Masson, Victor Brauner, Hans Bellmer, Roberto Matta, Wifredo Lam, Jean Fautrier, Jean Dubuffet, Bernard Buffet, Pierre Soulages, Nicolas de Staël, Zao Wou Ki, Pierre Alechinsky, Henri Michaux, Étienne-Martin, Antoni Tàpies, Lucio Fontana, Yves Klein, Arman, Martial Raysse, Jean Tinguely, Christo, Victor Vasarely, François Morellet, Carlos Cruz-Diez, Bridget Riley, Daniel Buren, Nam June Paik, Mario Merz, Giuseppe Penone, Luciano Fabro, Simon Hantaï, Bertrand Lavier, Bernard Frize, Jean-Michel Othoniel, Robert Rauschenberg, Keith Haring, John Heartfield, James Lee Byars, Peter Doig, Otto Freundlich, Hannah Höch, Hans Hartung, Gerhard Richter, Georg Baselitz, Sigmar Polke, Jörg Immendorff, Wolf Vostell, Andreas Gursky, Markus Lüpertz, Thomas Schütte, Thomas Ruff, Gisèle Freund, Rosemarie Trockel, Albert Oehlen, Per Kirkeby, Marcel Broodthaers, Zeng Fanzhi, and others. 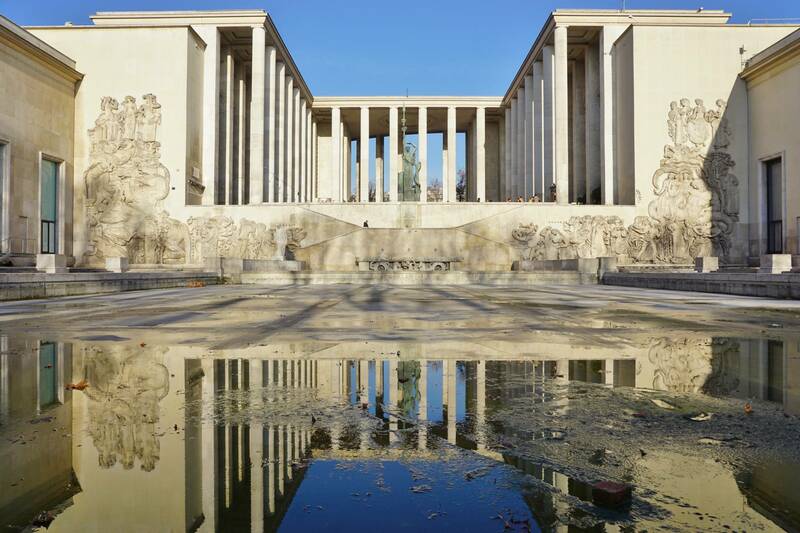 Musée d'Art Moderne de la Ville de Paris | eTips Inc.